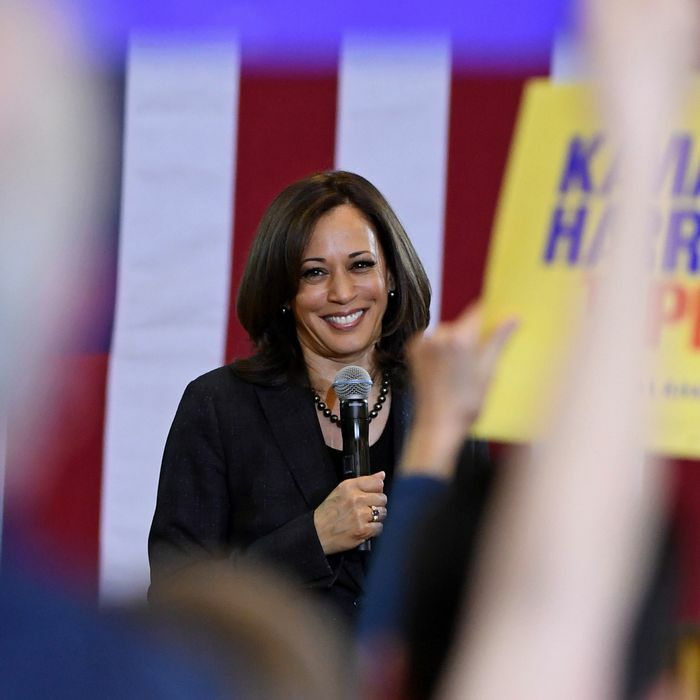 Senator Kamala Harris is proposing to increase teacher pay by $315 billion over a decade through federal matching funds, which would raise the average teacher salary by 23 percent. News reports are framing this plan as a way to appeal to teachers themselves, which it certainly does. But the particular cleverness of this idea is that it simultaneously appeals to education reformers. For decades, discrimination against women in the workforce created an invisible subsidy for education: teaching was one of the few careers available for college-educated women, which supplied a talented workforce at artificially low wages. Teacher salaries have remained low even as education lost its quasi-monopoly on female labor. The 2008 recession led to massive state budget cutbacks, further suppressing teacher pay. Recently a wave of strikes has drawn attention to shockingly low wages for educators. The teacher strikes have highlighted a left-wing trend in Democratic education politics. Teacher unions tend to oppose reforms, especially charter schools, and their growing militancy has thrown reformers in the party on the defensive. “Democrats these days don’t have a lot of enthusiasm for challenging teachers’ unions, and they’ve started to abandon the Obama-era centrist consensus,” notes Dylan Scott. But education reformers don’t oppose Harris’s plan. They support it. Arne Duncan, Obama’s first education secretary and a prominent reform enthusiast, waxed enthusiastic. Catherine Brown, a senior fellow at the Center for American Progress (and co-author of “The Progressive Case for Charter Schools”) consulted with Harris on her proposal. The most contentious (and possibly most important) premise of education reform is that the quality of teachers varies enormously, and is highly consequential. The least effective teachers do the most harm to low-income students, because their parents have fewer resources to overcome the harm of having a bad teacher. And tenure protections make it extremely hard for traditional public schools to remove chronically ineffective teachers from the classroom. The role of unions in protecting ineffective teachers is the bitterest flashpoint between them and reformers. But fixing teacher pay is far from the only item on the reform agenda, nor is it the only idea reformers support to improve teacher quality. Reformers also support increasing teacher pay. Pro-reform analysts have argued before that low pay discourages talented college graduates from entering the teaching profession and harms student outcomes. Higher pay and greater accountability go hand in hand; there’s not much value for a school in being able to fire an ineffective teacher if its salaries are so low that it couldn’t hire a better one. Harris frames her argument as rectifying the injustice of teachers getting less than “they deserve” — which appeals to teachers, and happens to be true. But she also endorses “multibillion-dollar investment in evidence-based programs that elevate the teaching profession,” half of which would be devoted to finding ways to bring more minorities into the teaching profession. Research has found that African-American students, especially boys, are much less likely to drop out when they have a black teacher. Smart politicians find ways to straddle divides within their coalition. Sometimes that requires ambiguity or incoherence. But Harris’s plan to increase teacher pay hits a perfect sweet spot: It appeals to opposing constituencies within the party and gives her a leg up on other candidates, who will wish they thought of the idea first and will probably wind up following her lead. NR also fails to explain even in theoretical terms why increasing teacher pay would have no effect on the quality of college graduates entering this field. It seems intuitive that raising teacher salaries might draw more talent into the profession. If there’s a reason price signals have zero effect in this market, NR does not share it. In place of any such case, NR offers lots of angry muttering about unions, inner cities, and other groups Republicans loathe. “There is nothing quite as fine to the worst kind of politician as buying an election with someone else’s money,” the editorial asserts. That a candidate who proposes to increase teacher pay is National Review’s idea of “the worst kind of politician” tells us a lot about the political moment we’re living in.